Sean “Bad for America” Hannity may hate snowflakes, but it appears he’s also got a problem with sunshine. 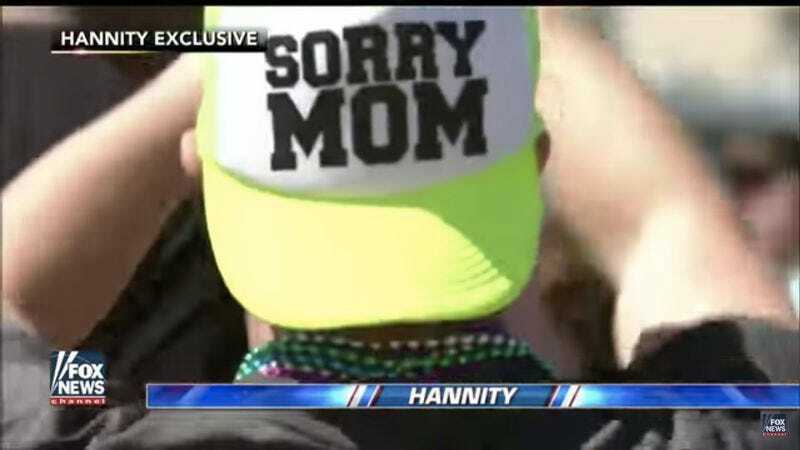 Even though hand-wringing over the hard partying of spring breakers peaked with 2003’s The Real Cancun (and imploded with Harmony Korine’s 2012 satire Spring Breakers), Hannity and Fox News have nevertheless persisted with their pearl-clutching coverage. One can only assume Hannity didn’t watch the footage, because graphic it is not. Sure, it contains everything you’d expect: drinking, yelling, and twerking, all in abundance. But it carries a decidedly light tone, with a breezy strain of stock island music underscoring what looks like pretty standard spring breaking. It wouldn’t have been that hard to find footage of some kids puking, right? Or passed out under a dock somewhere? Granted, Hannity would probably blanche at any kind of social activity that didn’t involve browsing Hannidate.